Facebook is opening new AI labs in Seattle and Pittsburgh, after hiring three professors from the University of Washington and Carnegie Mellon University. Its efforts are adding to pressure on universities and nonprofit AI research operations that are struggling to retain talent. SAN FRANCISCO — Facebook is opening new AI labs in Seattle and Pittsburgh, after hiring three AI and robotics professors from the University of Washington and Carnegie Mellon University. The company hopes these seasoned researchers will help recruit and train other AI experts in the two cities, Mike Schroepfer, Facebook’s chief technology officer, said in an interview. As it builds these labs, Facebook is adding to pressure on universities and nonprofit AI research operations, which are already struggling to retain professors and other employees. The expansion is a blow for Carnegie Mellon in particular. In 2015, Uber hired 40 researchers and technical engineers from the university’s robotics lab to staff a self-driving car operation in Pittsburgh. And The Wall Street Journal reported last week that JPMorgan Chase had hired Manuela Veloso, Carnegie Mellon’s head of so-called machine learning technology, to oversee its artificial intelligence operation. With the new labs, Facebook — which already operates AI labs in Silicon Valley, New York, Paris and Montreal — is establishing two new fronts in a global competition for talent. “We’re basically going where the talent is,” Schroepfer said. But the supply of talent is not keeping up with demand, and salaries have skyrocketed. Well-known researchers are receiving compensation in salary, bonuses and stock worth millions of dollars. Many in the field worry that the talent drain from academia could have a lasting impact in the United States and other countries, simply because schools won’t have the teachers they need to educate the next generation of AI experts. In the fall, Zettlemoyer told The New York Times that he had turned down an offer from Google that was three times his teaching salary (about $180,000, according to public records) so he could keep his post at the university. Instead, he took a part-time position at the Allen Institute for Artificial Intelligence, a Seattle lab backed by Microsoft co-founder Paul Allen. 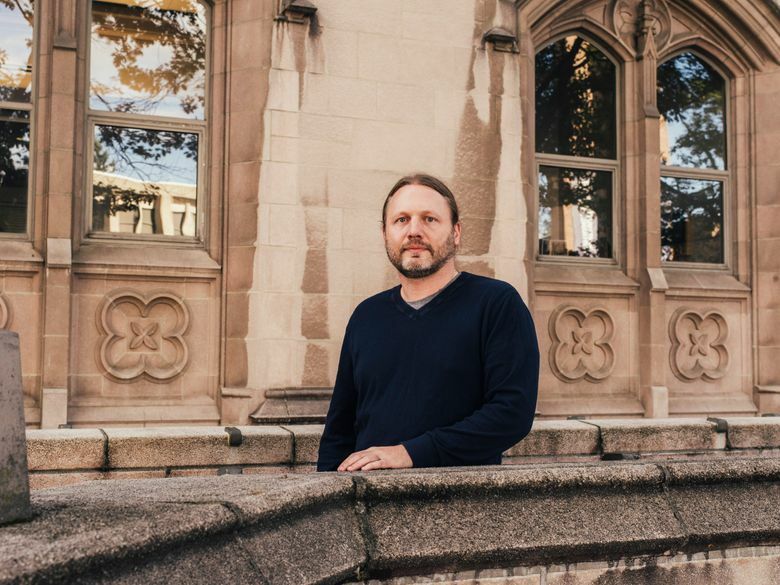 Many researchers retain their professorships when moving to the big companies — that’s Zettlemoyer’s plan while he works for Facebook — but they usually cut back on their academic work. At Facebook, academics typically spend 80 percent of their time at the company and 20 percent at their university. The new Facebook lab will focus on robotics and “reinforcement learning,” a way for robots to learn tasks by trial and error. Siddhartha Srinivasa, a robotics professor at the University of Washington, said he was also approached by Facebook in recent months. It was not clear to him why the internet company was interested in robotics. Andrew Moore, dean of computer science at Carnegie Mellon, did not respond to a request for comment. But over the past several months, he has been vocal about the movement of AI researchers toward the big internet companies. Google also operates an engineering office near Carnegie Mellon. The two new Facebook labs are part of wider expansion for the company’s AI operation. In December, Facebook announced that it had hired another computer vision expert, Jitendra Malik, a professor at the University of California, Berkeley. He now oversees the lab at the company’s headquarters in Menlo Park, California. Even with its deep pockets, Facebook faces fierce competition for talent. Allen recently gave the Allen Institute, which he created in 2013, an additional $125 million in funding. After losing Zettlemoyer to Facebook, the Allen Institute hired Noah Smith and Yejin Choi, two of his colleagues at the University of Washington. Like Zettlemoyer, both specialize in natural language processing, and both say they received offers from multiple internet companies. The nonprofit is paying Smith and Choi a small fraction of what they were offered to join the commercial sector, but the Allen Institute will allow them to spend half their time at the university and collaborate with a wide range of companies, said Oren Etzioni, who oversees the Allen Institute. Others researchers believe that companies like Facebook still align with their academic goals. Nonetheless, Ed Lazowska, chairman of the computer science and engineering department at the University of Washington, said he was concerned that the large internet companies were luring too many of the university’s professors into the commercial sector. Carnegie Mellon and the University of Washington, he said, are working on a set of recommendations for commercial companies meant to provide a way for universities and companies to share talent more equally. Lazowska added that every university should ensure that it did not become too close to one company.